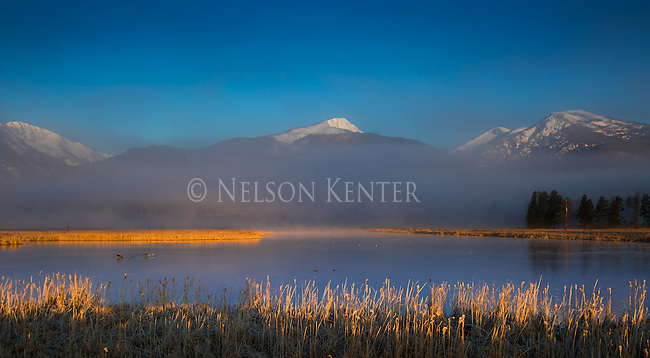 Early morning light shining on the cattail reeds in the Bitterroot Valley in western Montana. The snow capped Bitterroot Mountains form the western side of the valley. RIGHTS MANAGED USE, and PERSONAL USE DOWNLOADS.